Leading stakeholders from care provider and payor organizations, professional bodies, policymaking, and the industry joined the Round Table of the Global Clinical + Care Coordination Forum (GCCCF) in Moscow. 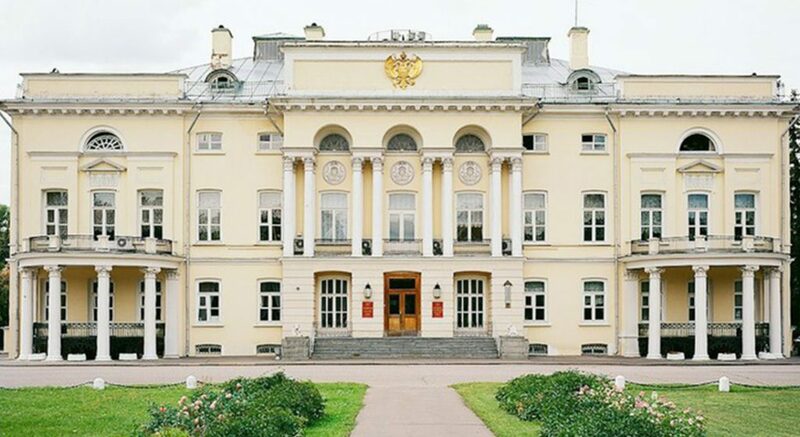 The Russian and international leaders met at the Russian Academy of Sciences early December 2017 to discuss how effective communication and collaboration in hospitals and care organizations contribute to patient safety and quality of care, and ensure efficiency in care delivery. 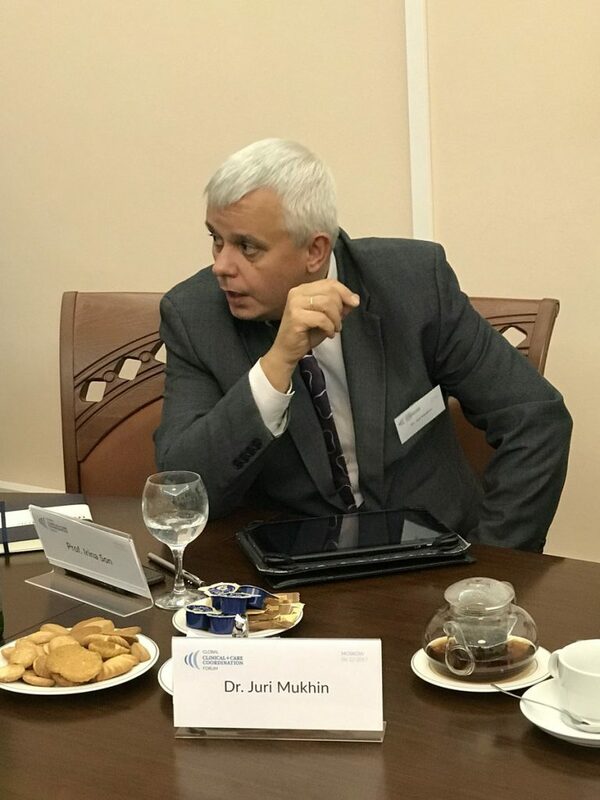 Prof. Dr. Vladimir Starodubov, Member, Presidium of the Russian Academy of Sciences (RAS), General Secretary of the RAS Medical Dept., and Director, Central Research Institute for Information and Healthcare Management of Ministry of Health, welcomed the participants to the Roundtable. He was highly positive regarding the exchange of information and ideas at an international level, with patients and health systems to benefit. As to innovation in Russia, Prof. Starodubov underlined that telemedicine is being practiced today, to be covered by compulsory medical insurance. However, the Federation lacks a systematic approach to the implementation of digitization in medical organizations. GCCCF is open to key stakeholders involved in care providing and care optimization, outlined Ljubisav Matejevic, President and Founder of the Forum. As an ecosystem of leaders from a multitude of countries and health systems, it aims at improving quality of care and patient safety, and at making workflows lean and efficient. Four elements are at the core of strategies targeting these goals, added Matejevic: information, communication, collaboration – and the coordination of activities in the continuum of care. Suitable technology is available; the challenge is to identify the right solutions and to find adequate financing. Digitization in Healthcare in the Russian Federation: Prof. Tatyana Zarubina described the status quo, trends, and visions. She is Deputy Director for IT in Healthcare of the Central Research Institute for Information and Healthcare Management, Ministry of Health and Social Development (MoH) of the Russian Federation. The introduction of modern information systems into public health service, or informatization, started in Russia back in the 1960s. In 2008, the topic was implemented in the MoH. Several concepts have evolved around “e-Health”, today also termed “digital healthcare“, since 2010. The basis of these concepts is the Unified State (Health) Information System (EGIS), said Prof. Zarubina. The concept for establishing and adopting EGIS at the federal and regional levels was based on Order 364 of the MoH on April 28, 2011. The Healthcare Modernization Program 2011-2013 supported this innovation. In 2017, the Law 242-FZ “On Amending Individual Legislative Acts of the Russian Federation on the Application of Information Technologies in the Sphere of Health Protection” was adopted. It legitimizes the Unified State Information System in healthcare and provides for electronic services in the sector, including the personal cabinet “My Health”. The Law 242-FZ also legitimizes use of telemedicine between professionals, and electronic medical records management including electronic prescription. The medical information systems in the Federation include administrative, organizational, medical, and technological subsystems for PACS, labs, ICU, and functional diagnostics. The software systems will be integrated step by step into workplaces. Compatibility between federal and regional systems is ensured. A data integration bus serves to integrate portals for the community of professionals, areas for patients, the regional portal, and the portal for clinical decision support. A large amount of medical information has been integrated into the systems, explained Prof. Zarubina. This includes about 100 reference works, newly created or modernized; standard terminology resources such as LOINC and SNOMED CT are being used. Rehabilitation management is among key new software developments. And the work continues, e.g. with medical modeling, population health management, artificial intelligence, and systems for assessing the quality of care. Physicians are offered education on medical informatics. The basic system is in place, and support is readily available for further development and roll-out, was Prof. Zarubina’s positive summary of developments in Russian health IT. Universal coverage, a wide-range benefit package, free access and consumers’ choice, pluralism and competition, power sharing between government and selfadministration, balance between solidarity and self-responsibility, as well as a decentralized approach: these are the main elements of healthcare in Germany, explained Prof. Dr. Volker E. Amelung. The key drawback, according to the Founder and Managing Director, inav – Institute for Applied Health Services Research, is the silo structure. This principle produces serious issues e.g. in care for the chronically ill, which is a paramount challenge due to demographics. Collaboration is required across the care chain, and exchange of electronic patient data is essential for success. In comparison with other countries, Germany lags behind significantly in coordinated care, said Prof. Amelung. The German Federal Innovation Fund is designed to drive change; it provides 300 mn Euros annually for projects aimed at improving routine. And the Fund works, said the expert, naming dermatology, back-pain, and diabetes therapies supported effectively with eHealth. Another funded project, StimMT, targets access to care in rural settings – in a population-centered – cross-sector – patient-oriented approach … Change is starting to happen in Germany. Let’s make our 30,000 living days healthier! Medical Informatics is the key instrument for development in the health sector, explained Prof. Peter Kuznetsov, General Director OOO Portal RAMS, Vice President, National Association for Medical informatics, High School of Economy, Moscow. The expert described the future of providing care: a five-tier system of prognosis, prevention, diagnosis, therapy, and rehabilitation will be underpinned by Big Data, Genomics and further technology, with health plans and checks for every individual. Hospitals will turn virtual. There is a broad exchange of concepts such as these happening with partners in China, said Prof. Kuznetsov. Innovation based on digitization is taking place in that country at an impressive speed. In China, as well as in Russia and elsewhere, innovation is required to control the rising cost of medical services and to implement new methods in medicine. A key challenge is to collect, and make available, patient data longitudinally – during all phases of care. Genomics, Big Data, Blockchain, Artificial Intelligence, Virtual Reality, as well as analysis of social media can all contribute to effectiveness of the five tier system. Let us make our 30,000 living days healthier! Educating individuals is important in achieving this goal; the family practices are to offer education and dispense services based on IT. A unified electronic integration platform also for general practitioners is key. Transformation of qualified needs of users of medical information systems: Yuriy Mukhin Ph.D., Managing Director of International Congress IT in Medicine (ITM, congress attended by over 1,100 professionals from care providing, health insurance and R&D), General Director OO Consef, Moscow, presented results of an annual federation-wide survey set in perspective for the years 2014-2017. What, according to respondents, are the major IT priorities in care? Priorities are improving quality and efficiency/reducing medical errors; ensuring medical standards. With these strategic aims in mind, the analysis and use of information rank top, with achieving meaningful use, integration with internal and external IT systems and medical equipment, development of outpatient systems following suit. What are the clinical aims providers plan to achieve thanks to IT? Improving quality of medical care, efficiency of staff, supporting standards of care, and enabling remote access to clinical data for the physician are top of the agenda for respondents. Priorities for action include imminent purchase of medical information and security systems. We need to internationalize eHealth and, together, build platforms for knowledge and experience exchange, said Holger Cordes, CEO, Ascom. Innovation needs funding, which for vendors is supported from their revenues. An opportunity to bring together payers, providers and technology partners to foster use case driven innovation is a unique situation. 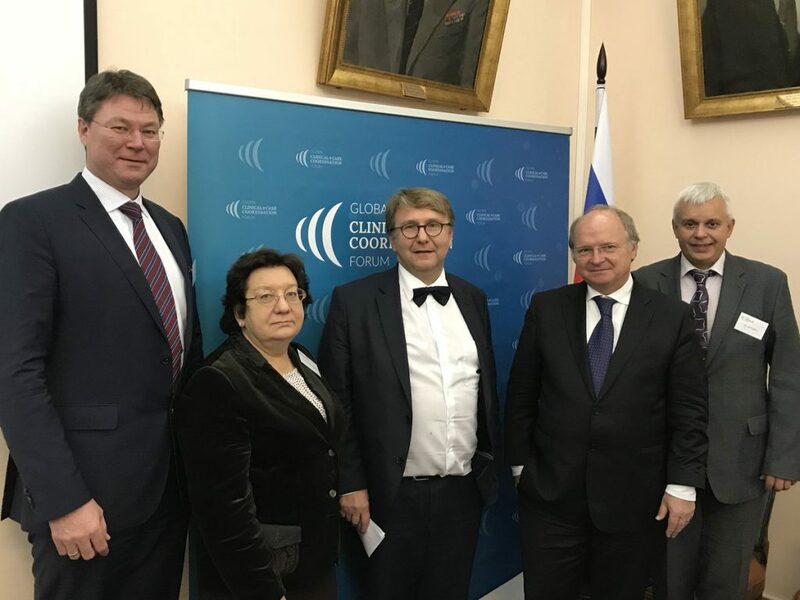 To pave the way for innovation, and to render the activities of GCCCF in Russia sustainable, a working group will be formed with representatives from hospitals, payor organizations, and the IT/medtech industry. The goal is to enhance communication and coordination in care, summed up Matejevic.